3 Necessary screwdrivers (Triwing 1.5, Triwing 3.0 and cross screwdriver) you need to work on Nintendo products, helpful for you to repair or disassemble most Nintendo products. Also, the package includes tool organizer, convenient for storing and organizing tools, electronic accessories, miscellaneous parts, durable to use and easy to clean, just hand wash with cold water. 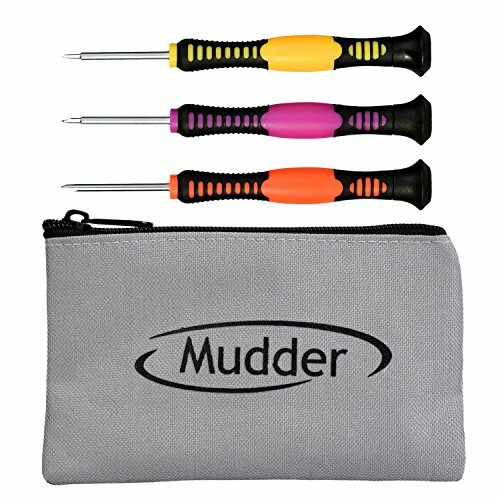 These screwdrivers are made of good quality chrome vanadium steel, durable to use; Suitable for using with the wii, ds lite, wii remote, nunchuk, etc.